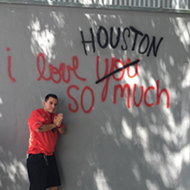 All basketball fans have a favorite movie centered around the sport, but have you ever wondered which one your Spurs players love most? Well, wonder no longer, fam. Earlier this week, the Spurs' social-media team posted a short video of various team members sharing their favorite basketball movies. He Got Game, starring Denzel Washington, was one of the more popular picks. 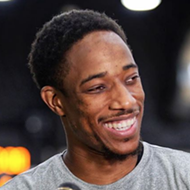 It's a favorite for DeMar DeRozan, Marco Belinelli and Dante Cunningham. 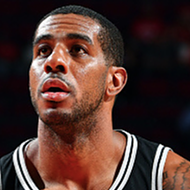 LaMarcus Aldridge said his top pick was between He Got Game and Above the Rim. The latter film, which featured the late Tupac Shakur, was also a favorite for Davis Bertans. Meanwhile, Coach Carter, played by Samuel L. Jackson, was a favorite for Derrick White and Jakob Poeltl (who also mentioned White Men Can't Jump). 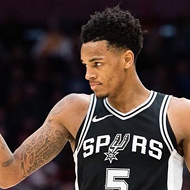 Love & Basketball won for Dejounte Murray and Lonnie Walker IV. Quincy Pondexter was solito for choosing The 6th Man while Chimezie Metu was all by himself in liking Like Mike, starring Bow Wow, the best. Patty Mills was alone with Space Jam as his fave, but we have a feeling a majority of '90s babies will agree with him.